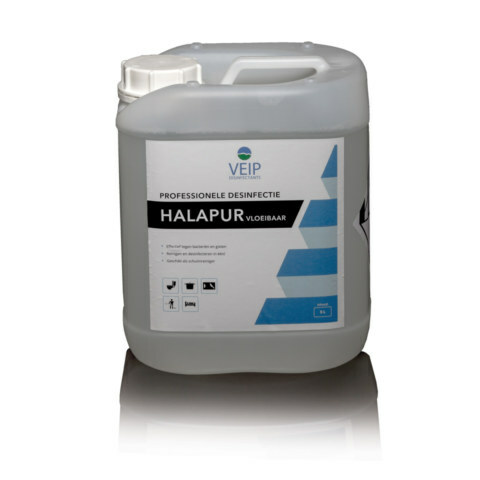 Halapur is a combined cleaning and disinfecting product that derives its efficacy to a quaternary ammonium compound. The product used in the food industry, the recreation sector and healthcare sector. 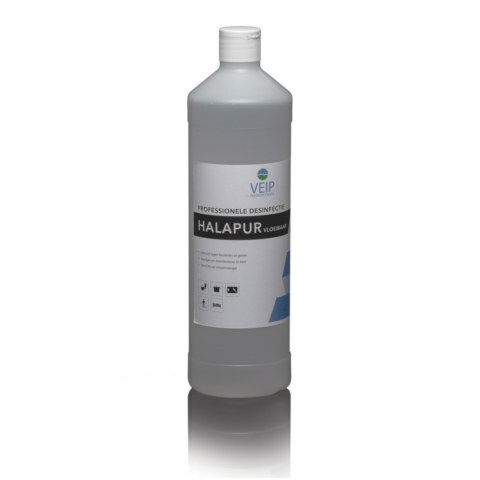 Halapur eliminate bacteria and yeasts, and making it a particularly useful cleaner and disinfectant for cleaning and disinfection of equipment for example. The product is also used for disinfection of premises where people work or stay. Halapur has a short exposure time. It can be used, inter alia, with a foam lance (at low pressure) to form a solid layer of foam that adheres well to surfaces. The cleaning and disinfecting is non-corrosive to metals and other materials. The disinfecting effect of Halapur is based on absorption to the wall of microorganisms. As a result, the permeability of the cell wall is changed and cell contents of the microorganism will leak out. This results in the death of the microorganism. Resistance is therefore not possible. Use biocides safely. Before use, read the label and product information. Available in 1 liter and 5 liter packaging. Combined action: cleaning and disinfection in one!